Located in the Perth hills, Kalamunda is the starting point for walkers heading south. The town has the feel of an English village and along with a great range of cafes, restaurants and pubs you'll find boutiques and galleries to browse. A great place to spend a night before heading off on the Track or to rejuvenate on your return. 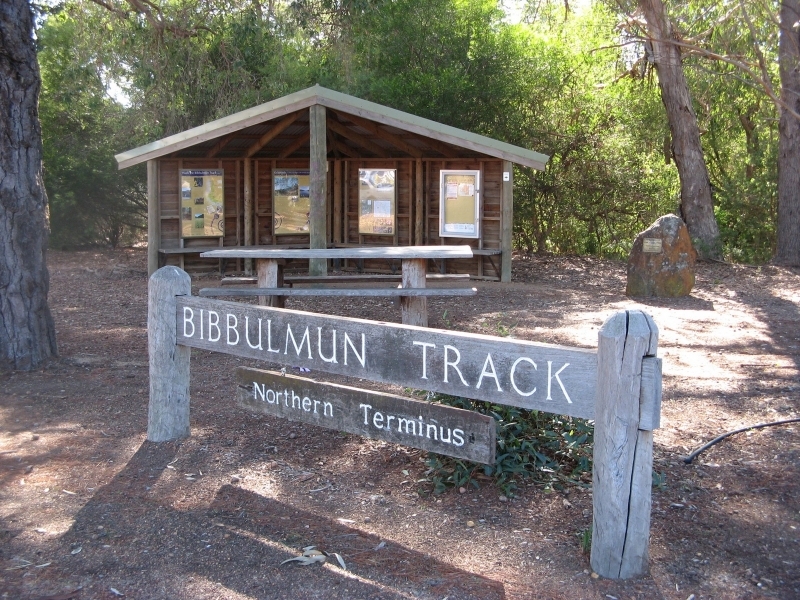 The Visitor Centre awaits walkers to sign the Bibbulmun Track Register. It offers showers as well, to freshen up after the long hike from Albany. The Perth Hills Visitor Centre is located in the Zig Zag Cultural Centre, 50 Railway Rd Kalamunda. The centre provides information on coming events, tours, accommodation, restaurants, natural attractions and things to see and do in the Shire. The friendly volunteer staff can provide you with helpful advice. 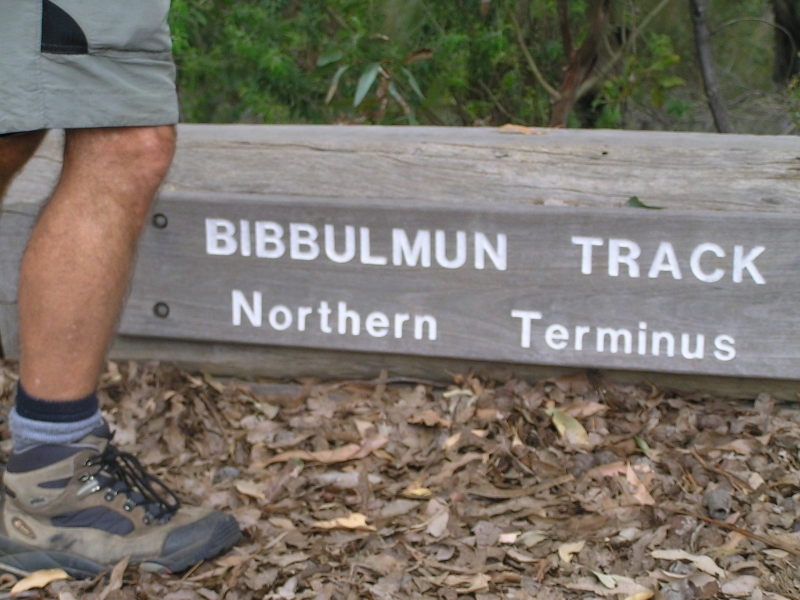 The visitor centre has a Bibbulmun Track register to sign before you head off or when you return from your walk. For end-to-enders walking from south to north there's a bell to ring when you complete your journey! If you head up on a Sunday be sure to visit the weekly farmers' market which offers a great range of local produce. Kalamunda is also home to one of the best artisan markets in WA. Held on the first Saturday of every month, this market showcases local arts and crafts. 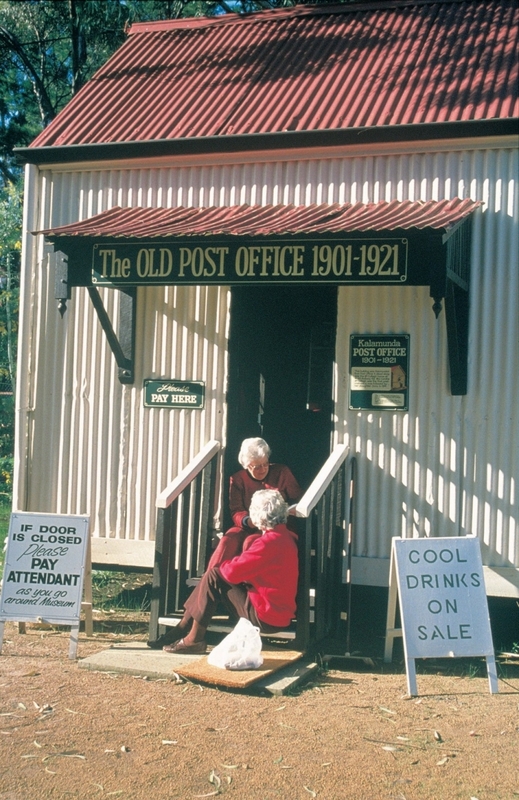 The old Post Office is one of many interesting displays in the village. In 1881, Frederick Stirk and his wife Elizabeth took up 10 acres of land, cleared it for agricultural purposes and built a wattle and daub house. This was the origin of what is now the township of Kalamunda. In 1891, a rail link to Perth and Fremantle was established via a side link on the existing Perth to Midland line. This greatly increased the timber industry in the area, which, coupled with the need of agricultural produce to feed the massive population influx to WA in the Coolgardie/Kalgoorlie goldfields boom era, meant Kalamunda and its surrounds developed rapidly. The actual townsite of Kalamunda was approved in 1901. The name is derived from the Aboriginal words cala (home) and munnda (forest) - home in the forest. At the turn of the century, the Premier of WA decided that the cities of Perth and Fremantle needed a sanatorium where people could escape from the bustling metropolis and enjoy fresh air and relaxation. Blocks in the hills were sold as holiday retreats, boarding houses and convalescent retreats, establishing Kalamunda as a holiday town. Local businesses responded and in 1913 it was resolved that Kalamunda would be advertised as a health resort. The next Track town south is Dwellingup, via the area of the Mundaring Weir (7km from Mundaring) which itself offers a range of walks and accommodation options. Dwellingup is located 96km south of Kalamunda, a drive of one hour and 20 minutes. For travel details to Kalamunda view the Section by Section guide for the Darling Range. Accommodation of all types can be found in Kalamunda from historic hotels and B&Bs to spas. The town has cafés, restaurants and a couple of pubs – including one opposite the northern terminus which has seen its fair share of celebratory drinks at the completion of an end-to-end. It also has banks, a pharmacy, a post office, a camping store and supermarkets where walkers can stock up with food and supplies.